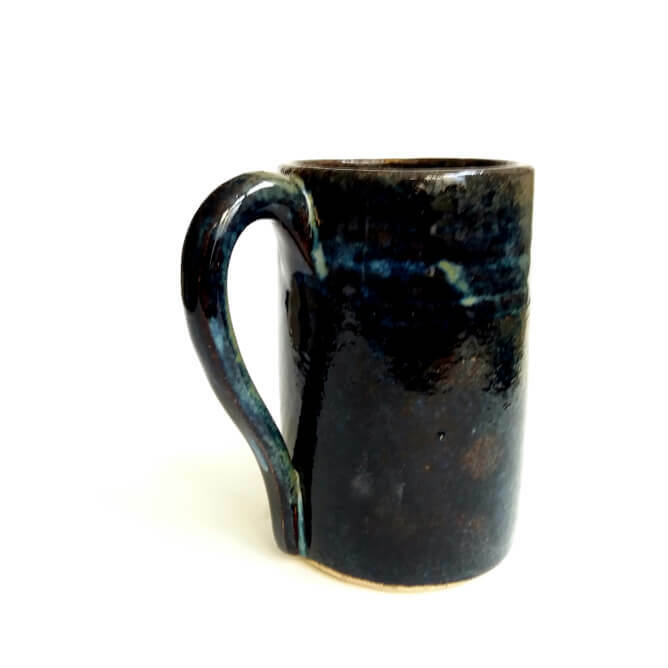 Unique stoneware mug, hand-thrown and glazed with traditional, oxide-based glazes. Food and dishwasher safe. 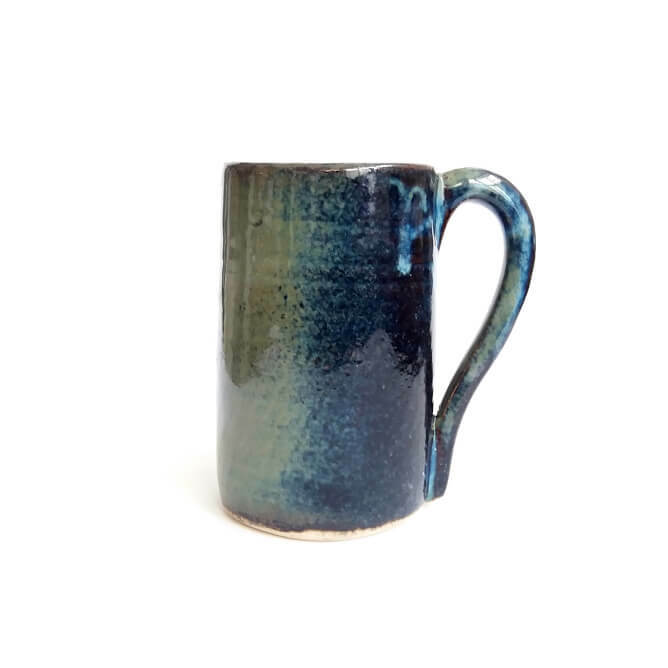 This stoneware mug in shades of blue, brown, grey and green, was handmade by me in my London studio. 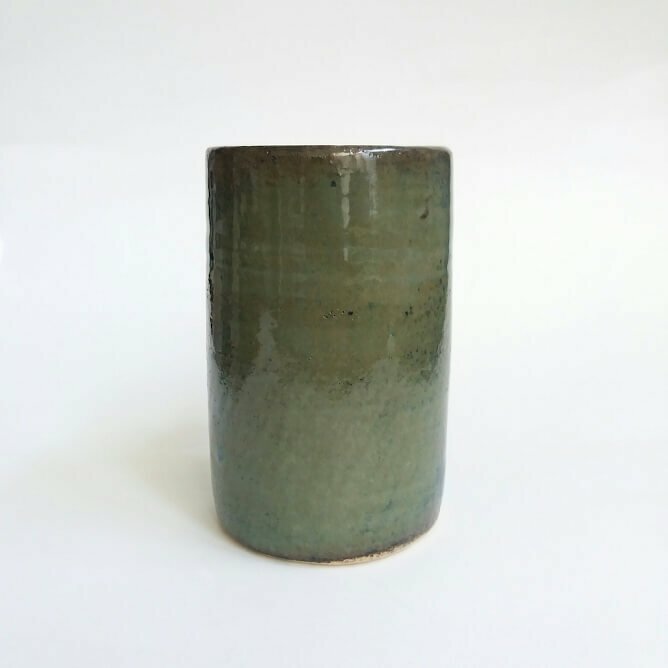 It is hand-thrown and glazed with traditional, oxide-based glazes – which are food safe. The glaze is dark shiny floating blue with brown and grey-green tones and is strictly lead-free. Each mug is handmade and dimensions and colours will vary.